When we go away we tend to go out of season – late autumn, winter, early spring and most definitely never in school holidays. I can almost hear so many of you recoiling in the thought of the cold and wet days! But don’t be so quick to dismiss it, you’re missing out on SO much (as you will see). When we were invited to stay at Morenish Mews, Killin, we jumped at the chance. Although the lodges are only just over an hour from where we live, once we arrived we couldn’t have felt further away. 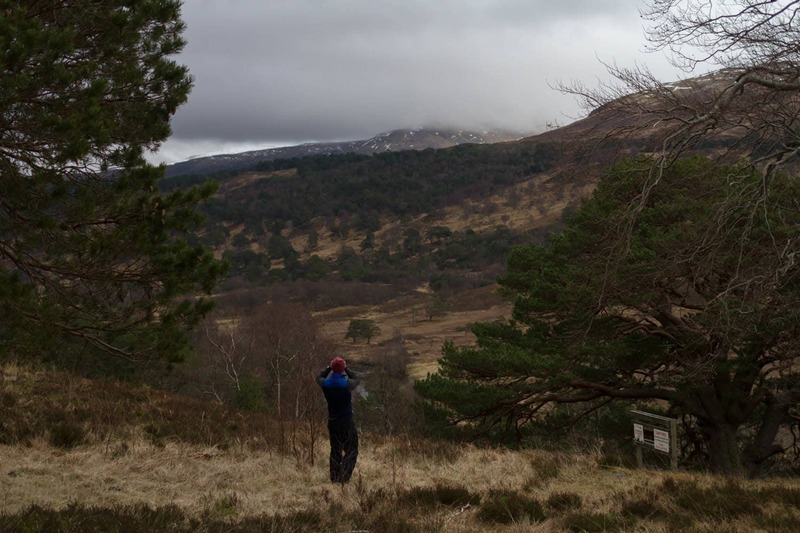 With a slightly elevated view of loch Tay we could see quite a way in each direction. Having been given a guided tour by our hosts, Catherine and Ken, we were free to make ourselves at home. We made efficient use of the small space to store our food, clothes, spotting scope and camera kit. 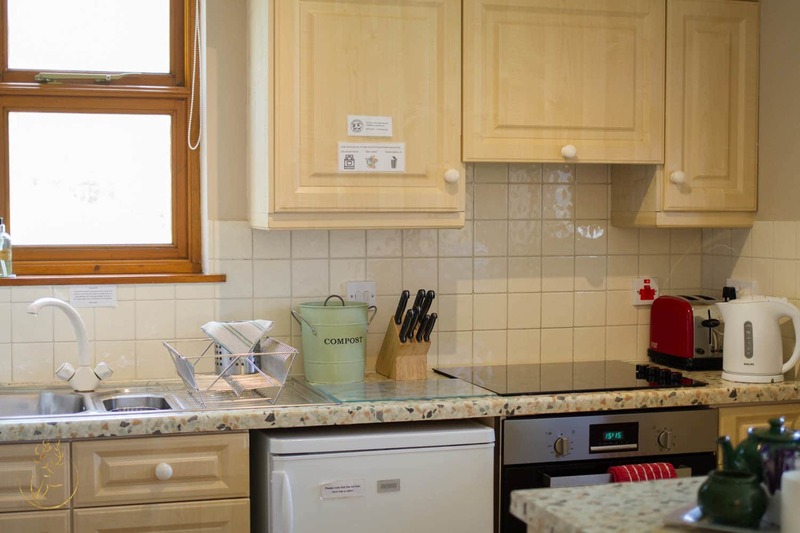 Morenish Mews markets themselves as self catering accommodation for couples and with the simple layout of the living room, kitchen, bedroom and bathroom we found we really didn’t need anything else. For those who visit and still want to be connected to the outside world, wifi is available but we found we could get a 4G signal anyway. There is a TV and a docking station if you wish to listen to your own music too. The kitchen was well equipped with everything you need to make your own meals during your stay. 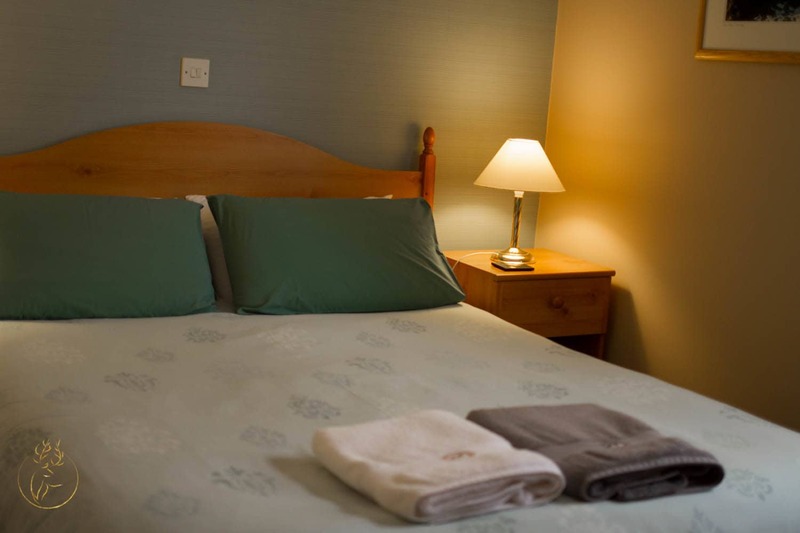 In the bedroom there is a double bed and plenty of shelves and hangers to store clothes. The bathroom has a good shower – you can tell alot about a place just by the shower! And the living room is probably the largest space and has a place for a table and chairs too. A great spot to watch the birds and ducks feeding. Oh and the red deer stags that came to visit the garden just before sunset each night! Incredible. 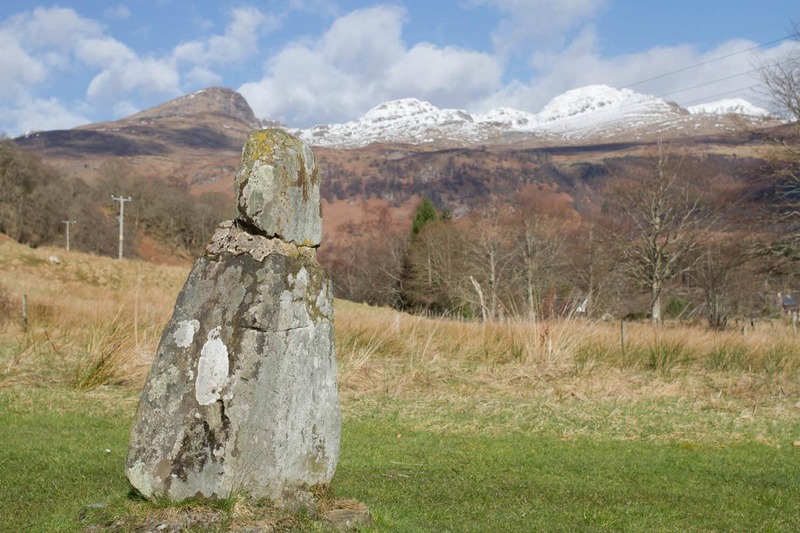 The lodges are just a few short miles out of the sweet village of Killin. 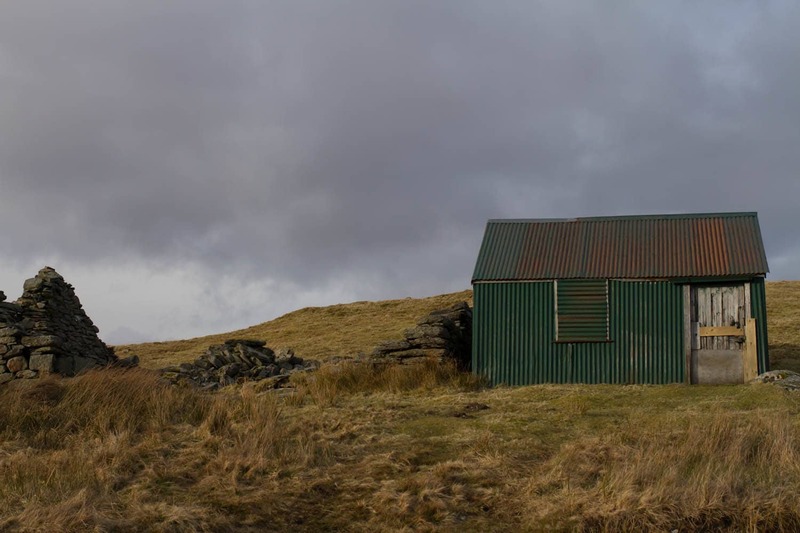 From one of the leaflets in our accommodation we discovered there are several short walks around the area that can help you explore. 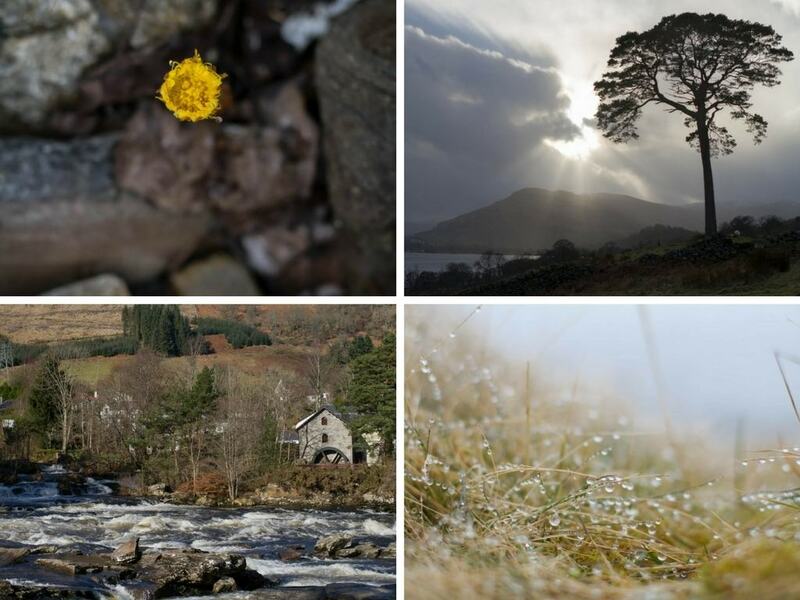 We chose the Heritage Trail, a short and easy three mile route, taking in some of Killin’s sights, including: Falls of Dochart, Fingal’s stone and Finlarig Castle. As with most of the walks we do we ended up making some of it up (when we have an OS map with us) and adding more miles. On this occasion we walked to the head of loch Tay. It was so still and beautiful, we forgot it was March! 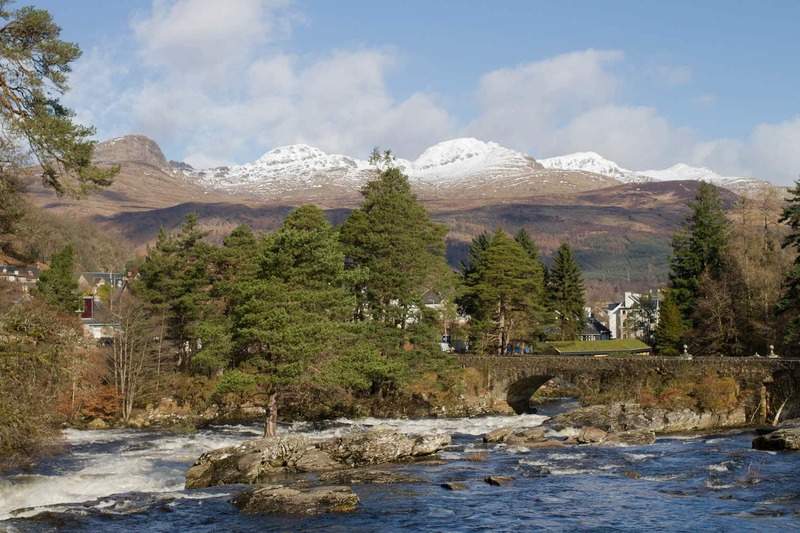 You can’t miss the falls of Dochart. A narrow bridge crosses the river and there is no footpath so you have to watch out for cars. Unfortunately it seems the same observant message hasn’t reached some drivers. We watched someone driving over the bridge (which has a bit of a dog leg in it), clearly too busy trying to see the water below and narrowly missed crashing into the wall. I think winter or early spring is the best time to see the falls in their full glory. The sound of the water was so powerful and with the mountains out the back it really is quite a setting. There are a good selection of cafes and places to eat too, which sometimes out of season we struggle to find, but this is part of the charm and we go prepared. As with anywhere in Scotland there are plenty of places for walking and this pretty glen, just a few miles from Morenish Mews, is worth a visit. Once described by Sir Walter Scott as “the longest, loneliest and loveliest glen in Scotland.” We drove up and down most of it’s thirty two mile length and didn’t see another soul. Perfect. 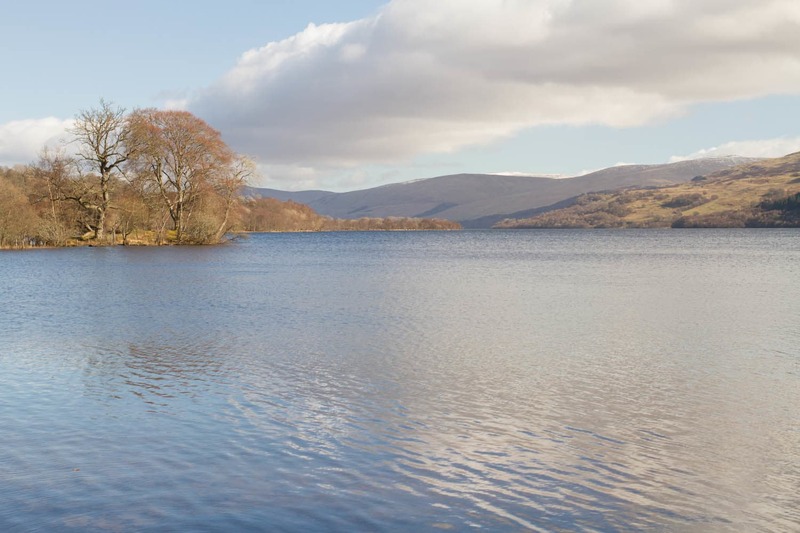 There is something for everyone here: the river Lyon runs through the glen, there are munros and corbetts to climb, plenty of wildlife (including red squirrels), loch trout fishing is also available. Whether you walk, cycle or drive down this glen, you must allow yourself some time to stop, look and listen. I’m not advising you to look out for traffic because there is hardly any, but to enjoy it’s powerful beauty. 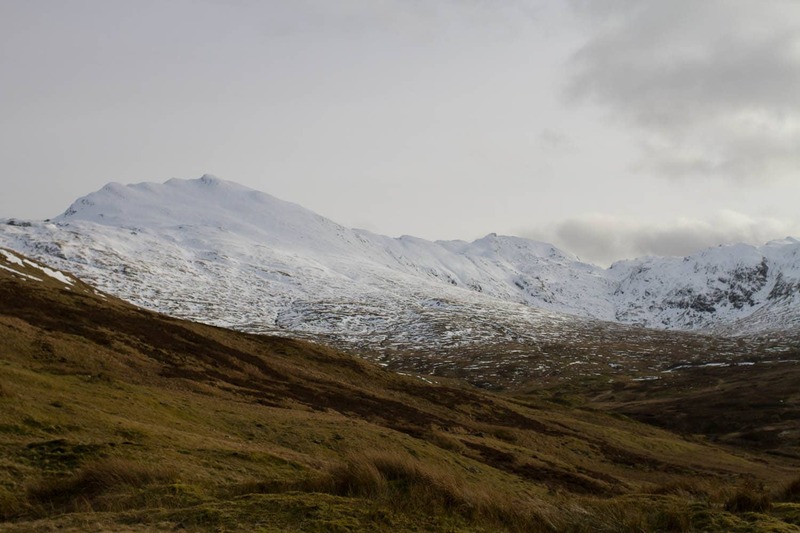 Chances are if you are visiting this area you will be doing some walking and that you will be wanting to conquer the 1214m of Ben Lawers, the local celebrity. The whole reserve has lots of routes: big days out and shorter walks through the lower woodland, either way it is a stunning place. 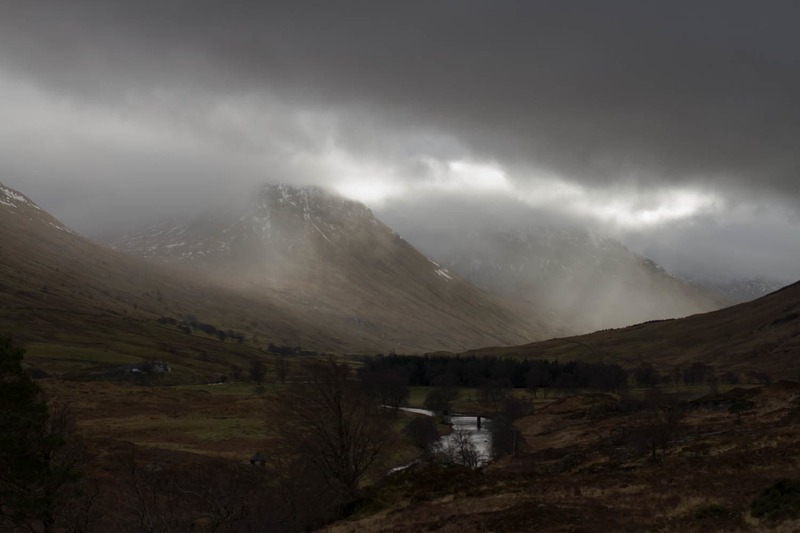 Our first drive up and over the mountain road was on a clear, sunny day and the following day was a different story, low cloud and grey but still equally as beautiful. We saw black grouse on the side of the road and a herd of red deer in excess of forty beasts up on the hillside. We couldn’t be this close to the oldest living thing in Europe and not visit. 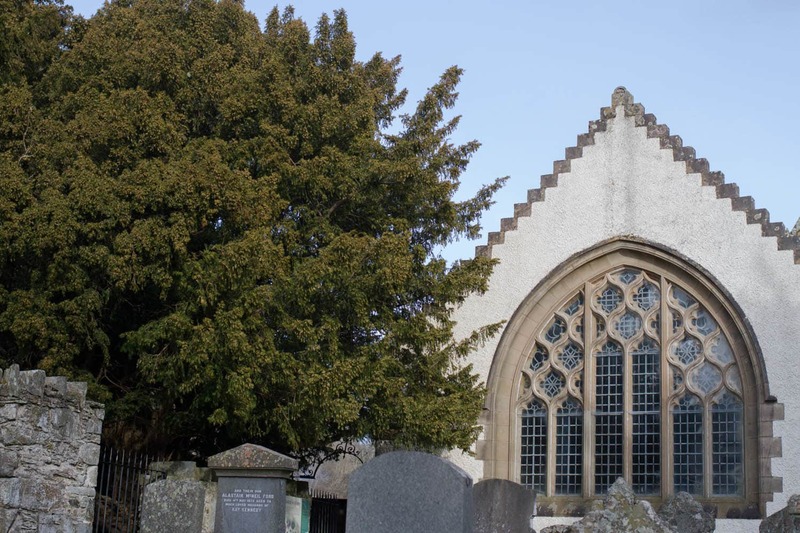 The Fortingall yew is said to be between 3000 & 9000 years old. I don’t know about you but I can’t quite get my head around this! It’s incredible. At one point in time the circumference of the trunk was a vast 52ft but sadly people in the past have taken pieces as trophies. It is still a magnificent tree and well worth a visit. I am looking forward to revisiting this area to do some hill routes and maybe take our bikes too. This post only scratches the surfaces of what there is to see and do in the area and I can’t believe it has taken us so long to discover it. Using Morenish Mews as a base was perfect for exploring too. Check out the Embrace Scotland website for more details. 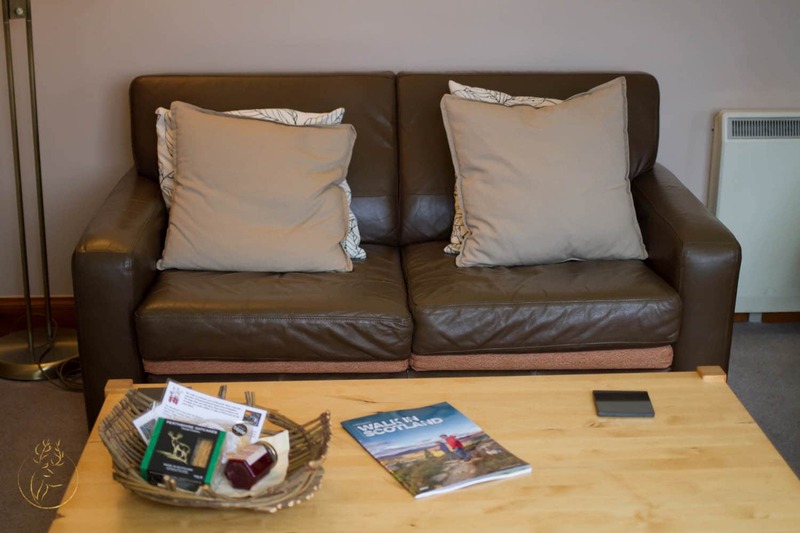 We were invited by Embrace Scotland and Morenish Mews to stay for free, in return for my blog post and images contained in this post. All views are my own including that of people trying to drive over bridges. 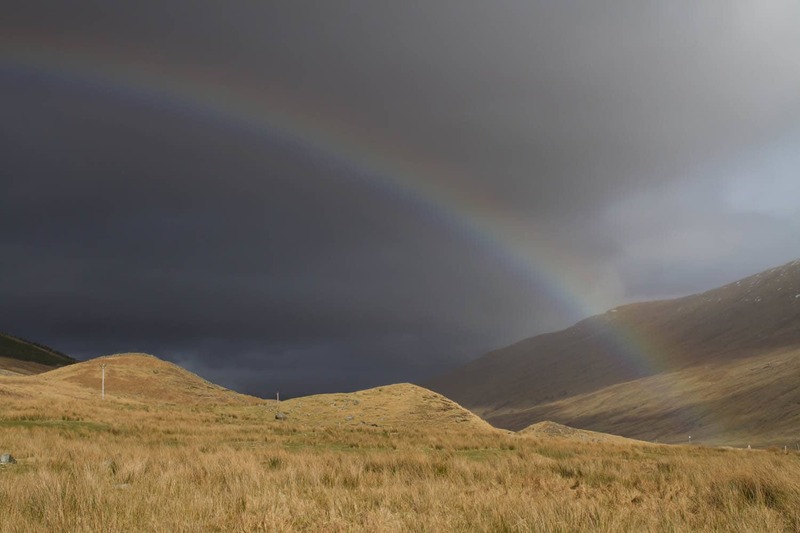 As always great commentary and fab pics – particularly like rainbow image! I just love this little lodge so much. I’m actually not sure if I love it because it’s clearly not big enough for my children to fit in with me, that could be it. It’s the idea of peace and quiet! Looks like a beautiful area and a fabulous little place to stay to get away from it all.